With just over 2 weeks until the official launch of Grand Theft Auto 5, Rockstar have decided to set the scene, fuelling further anticipation if you like, by revealing the 1-minute long Grand Theft Auto 5 official trailer. The trailer focuses on the three protagonists of the game, Franklin, Trevor, but mainly Michael, a middle-aged career criminal tries to straighten out his life but is dragged back to the criminal world by his best friends Franklin and Trevor. Another side the trailer seems to focus on is how big the Grand Theft Auto 5 map will be, and some of the potential actives that can take place within this environment. Although the trailer is only 1 minute in length, Rockstar demonstrate a plethora of illegal actives that you'll be getting up to, including bank heists, high speed chases, sky diving, submarine piloting and plenty of bullet-related carnage. It's been a tough week for Rockstar. At the beginning of the week, certain members gain access to the PlayStation Network preload file and released not only audio files, but spoiled the game ending by posting the content on many online forums. Rockstar did their best to contain the information, but not much could be done. 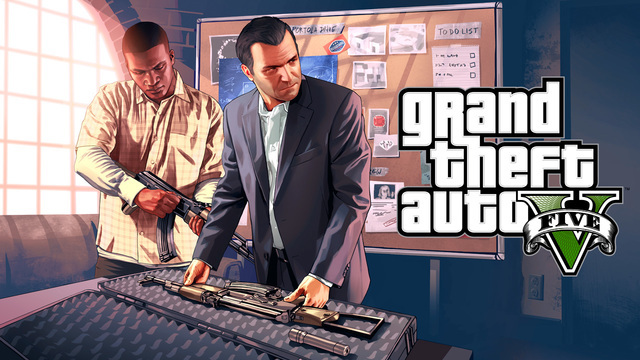 Learn more about the GTA 5 leaks by reading the article I wrote, here. Are you excited for the Grand Theft Auto 5 release? Let us know in the comments below.